Frame your memories in one of our beautiful modern black frames. 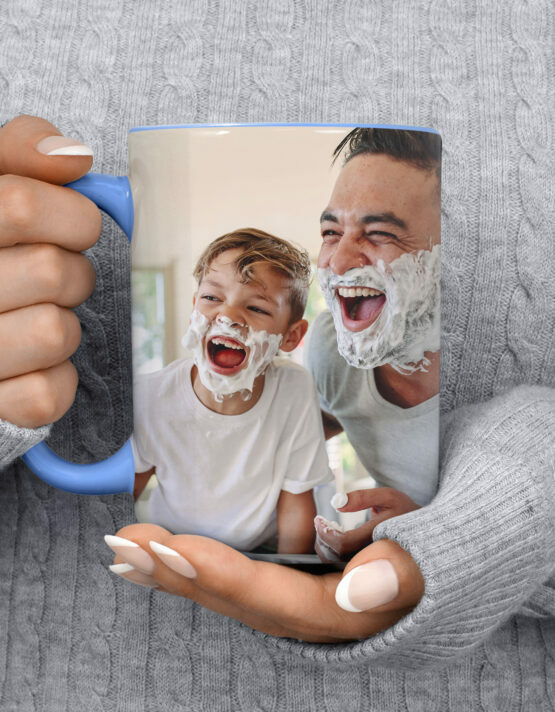 Your photo is printed in brilliant color on long-lasting Fujicolor Crystal Archive matte paper, then the image gets inserted into a contemporary black frame. Choose our matted option to add a touch of sophistication to your print. Using photographs to decorate homes is a style as old as time itself. Most of our family homes are absolutely decked out in fancy frames. Some are grouped together, some are singles, but the point is: walls and walls and walls are covered in photos. There are the family photos where everyone is wearing their matching black tops and blue jeans, graduation photos, or the favorite pets that over the years snuck into their fair share of photographs. Keeping these pictures updated and modern can be a real challenge. Not only can it get expensive, but time-consuming as well. Using framed or matted photo prints is a great way to gradually bring a modern touch to the photographs in your home. 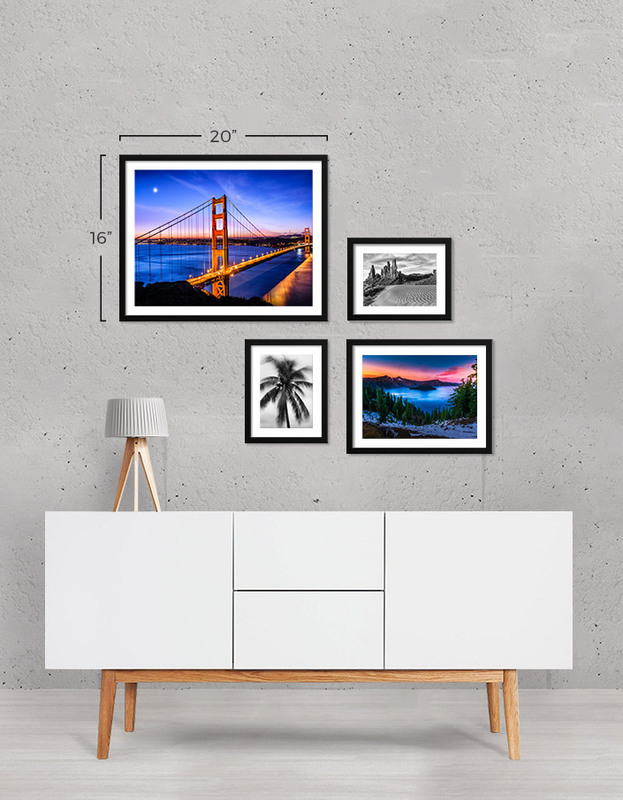 These framed prints are just that—photos printed on long-lasting Fujicolor Crystal Archive matte paper that has outstanding color placed into high-quality black wood frames. They come in three sizes and of course either the portrait or landscape options. 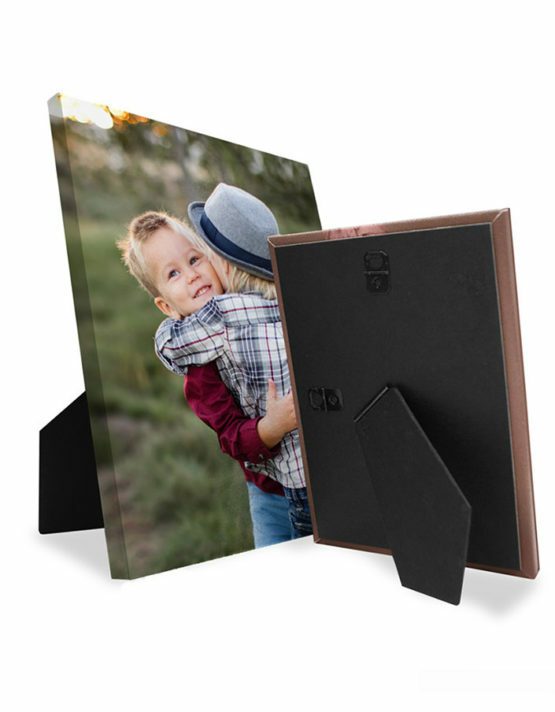 With the matte option, it has the same quality photo paper and frame, only with an added white frame surrounding the photo before the black wood frame. This adds a certain level of style and sophistication to your photographs, but it is still so simple and minimalist. The matte framed photos also come in the three sizes and in either landscape or portrait views. Frames of this style look excellent both on walls as a personalized decoration, as well as on desks or tables. If your living room’s walls are already full of smiles and your favorite places, try sprucing up the coffee table with one of these sleek frames with another photo of something you love—whether it be your dog, your nephew, or the Grand Canyon. All full at home? That is okay, take them to the office! 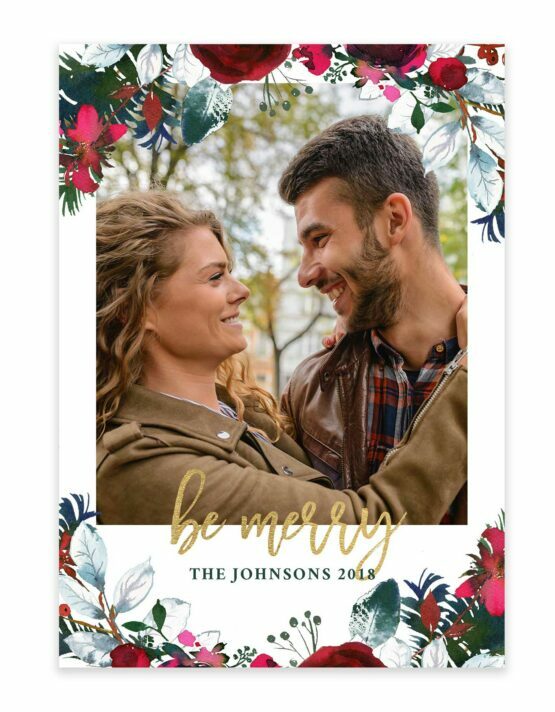 What better way to light up your otherwise somewhat dull day than with an aesthetic looking matte frame with your significant other smiling back at you. Fancy photo frames are not just for moms and dads either. College dorm rooms are notoriously boring and bland. Even a single photograph framed on a desk can brighten up the entire room and provide a little company to any brand-new college student. They also look fantastic in sets of three or five, lined up or places however you would like on the walls. For those of us that have trouble with keeping up with the modern tastes and styles of design, using framed matte photographs is one thing that will always look classic and chic no matter the fad of the month. Placed in any room, on any surface, these are a sure way to keep up without really having to try that hard. The great thing about buying frames is that they are more of an investment. When photos become old or outdated, or if you and your boyfriend break up, they make is really easy to switch out photos. This is an advantage to buying nice frames as opposed to a more specialized type of photo surface. Those are gorgeous and look amazing, but they are far more permanent. Whether your hallways and bedrooms need a touch of modern framing or your empty desk at work is just not giving you the lift up you need part way through the day, matte frames are the way to go. A simple option, allowing for customization in both size and orientation, they allow you to choose a photo and place it wherever you please. It’s easy, quick, and your walls and other flat surfaces with thank you.